6" x 9" padded mailers. Mailers are available in a bundle of 5, 10 or 20 mailers. If you need a larger quantity, you will need to order multiple bundles. Discounted pricing coming soon for larger quantities. These shipping bags feature bubble lining, strong side seams and a seamless bottom for maximum protection. These bubble envelopes are fun and perfect for shipping items that need a little bit of padding such as makeup or jewelry. 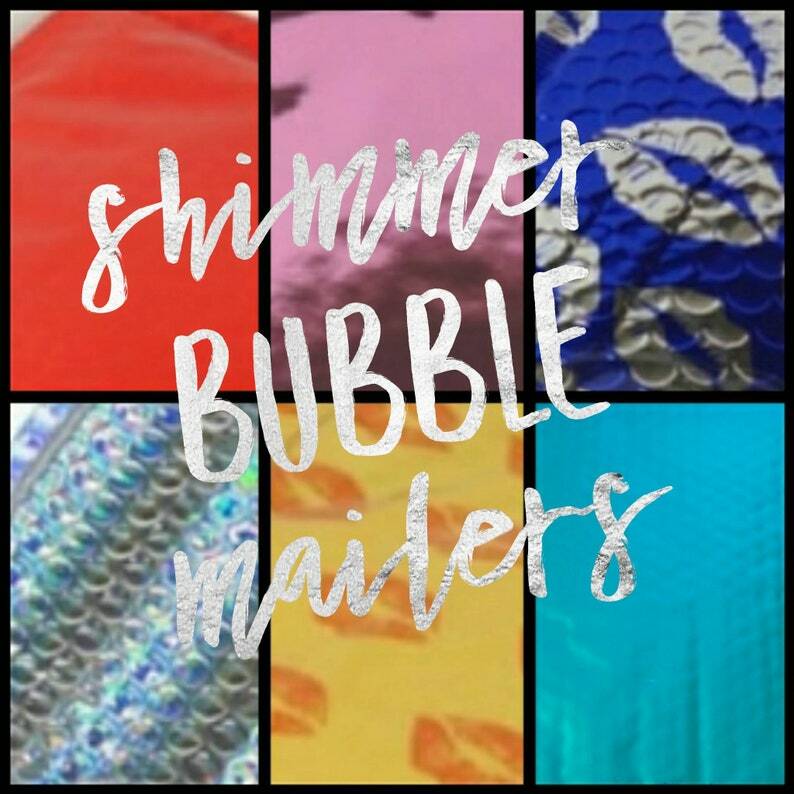 The poly mailers are essential for small businesses and online sellers that do not want to bother with the added costs and time of using boxes. Easily and securely close these padded envelopes using the quick peel and seal adhesive strips that will ensure your shipments are safe and will not open. How can packaging be so cute?! These designs are awesome---love this shop for being so generous in their bonus items! Thank you!